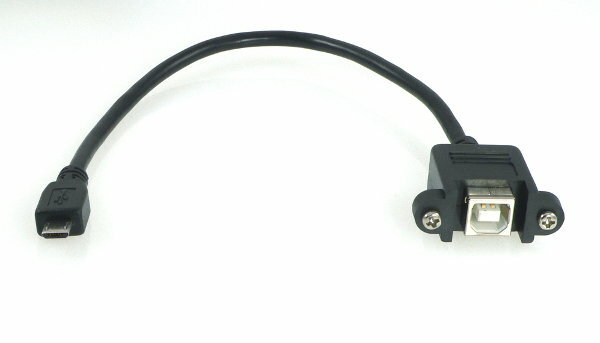 This short cable allows mounting Teensy 3.0 inside an enclosure, with a sturdy standard B type connector. The Teensy is protected from excessive force applied to the panel mounted connector. Micro-B works with Teensy 3.1 and Teensy-LC. Micro-B does not work with Teensy 2.0 (requires Mini-B). The overall length, from the tip of each connector, is approx 10 inches (25 cm). The portion that is flexible cable is approx 7.5 inches (19 cm).